Giovanni Busonera received his M.Sc. 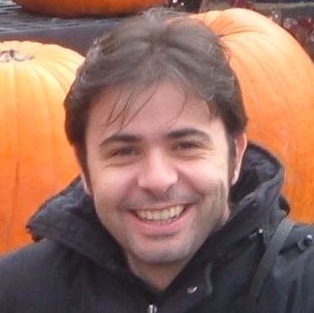 in Electronic Engineering from the University of Cagliari in 2004 and the Ph.D. in Electronic Engineering and Computer Science from the same University in 2008. Since 2008 he works at CRS4 as a researcher. His research interests concerned mainly virtualization, distributed programming and hardware acceleration for parallel computing by using GPGPU and FPGA devices. Before joining CRS4, he worked in the Microsoft Research Embedded Group in Redmond developing eBug, a software debugging support for the dynamically reconfigurable processor eMIPS. He also worked on the development of a haplotyping algorithm to perform multi-marker genome wide association study (GWAS). Currently his work deals with signal processing and data analysis for biomedical applications and statistical methods for network traffic modeling.